In an age where books of jazz photography tend to be of the mammoth, coffee table-hogging variety, this handsome collection of Arthur Elgort’s work bucks the trend. Published by Damiani, an Italian firm specialising in stylish volumes of photography, it’s an elegantly compact and solid hardcover, beautifully produced and designed to last for a lifetime of browsing. 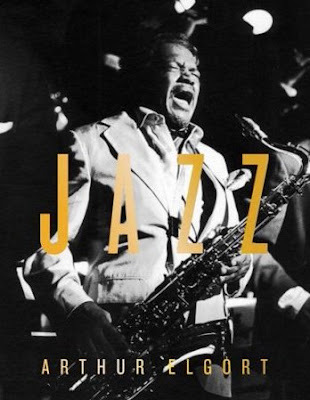 The cover has embossed golden metallic type over an image of saxophonist Illinois Jacquet in full flight, and indeed Jacquet features frequently throughout — perhaps most memorably portrayed grimacing as he chews on a reed at the Selmer factory, and generally looking splendidly moody and autumnal, in Paris in 1990. 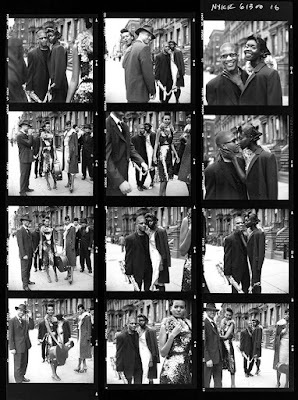 Other luminaries to be found in these pages include a gritty depiction of Joshua Redman in action in 1996, a grizzled, silvery and distinguished Dizzy Gillespie, Dexter Gordon blowing ecstatically (both 1988), George Benson with his Ibanez guitar in 1987 and Sonny Rollins looking positively Buddha-like in 1991. There’s also a particularly beautiful study of Wynton Marsalis playing, which occupies the rear endpapers of Jazz and also comes as a print with the deluxe, limited edition of this book. Black and white is Elgort’s forte — almost all of these images are in luminous monochrome, with the sort of glow and fine-grained detail which reminds us that classic analog photography relied on the light sensitivity of compounds of silver. But there are also some lush full-colour shots including a striking one of Ornette Coleman looking dapper astride a shiny red motorbike in 1988. 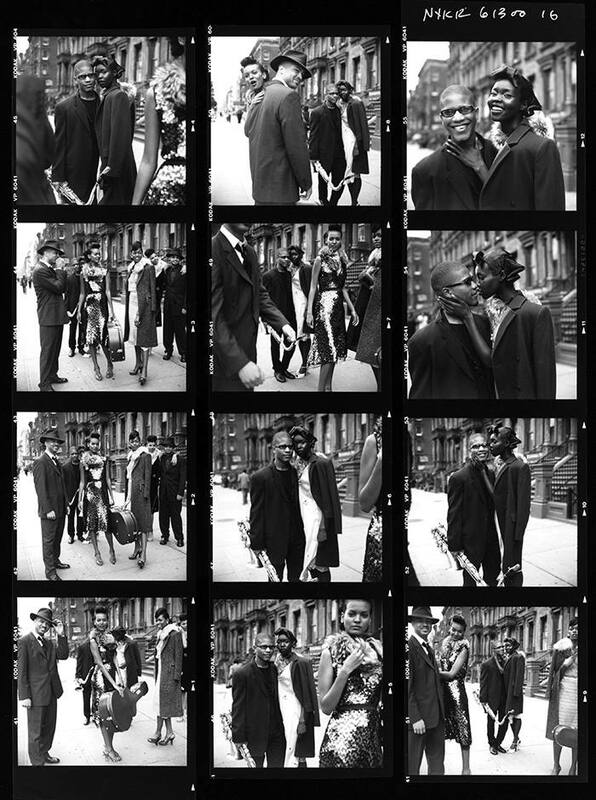 While the book depicts some of the giants of jazz, Elgort is himself a giant of fashion photography, enjoying a particularly long and fruitful association with Vogue magazine. Some of his most celebrated shoots featured Christy Turlington at the Red Army barracks in Leningrad and Stella Tennant diving into a swimming pool in tweeds and wellies. Elgort’s use of natural light was pioneering in the field, and he favours spontaneity over carefully contrived composition — and both of these qualities come across strongly in Jazz. Elgort’s association with the world of fashion leads to a certain degree of crossover, with supermodels such as Jenny Howorth and Liya Kebede cropping up in some of the same shots as the musicians in this book — and it has to be said that elder statesmen of jazz don’t look to be suffering too much at having such high calibre arm candy inflicted on them. And one the most gorgeous images in the book has Liya Kebede framed by the serpentine curves of a saxophone. It’s the epitome of jazz as glamour. A little more information wouldn’t have gone amiss — there’s no index in the book, and a few of the portraits aren’t easy to identify — but this is a sophisticated little volume rich in jazz imagery seen through the lens of a master. And it’s arrived just in time for Christmas.